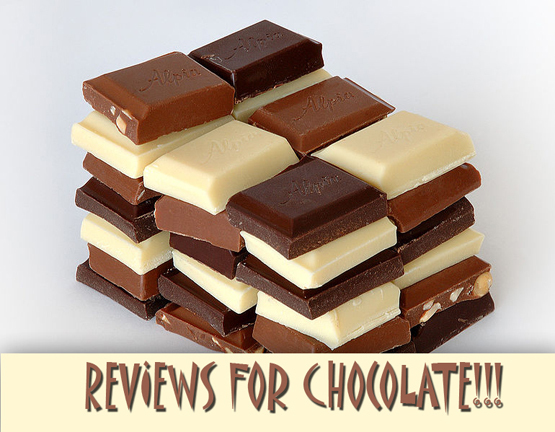 Unicorns, Tampons and other Girly Things: REVIEWS FOR CHOCOLATE!!! Oh, lookie! BlueInk reviews will review your book for just a nominal fee of up to $495. Yes, you too, can hire the 'professionals' to write a review of your book. Here's the kicker. If they don't like your writing, they won't publish the review. Oh, how nice of them! For that much $$$ they'd better clean the windows, pick up the dogshi**, and do my laundry. They'd better send a tall, dark and twenty-something stud with bulging biceps to do it for them. Otherwise, I'd say that $495 for a book review is, oh I don't know, FREAKIN' INSANE! 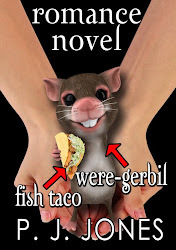 In light of this new trend for scammers...er reviewers to make $$$ off of indies to read and then review books, I've decided to start my own review business. However, you will find my services to be far more affordable as I charge in CHOCOLATE. The number of stars in your review depends on the candy quality. European chocolate will garner four or five stars depending on the quality and quantity of the chocolate. All you have to do is send me the chocolate as well as a free download of your book (or not, as I really don't intend on reading it, anyway) and then tell me what you'd like for me to say in your review. Sound ethical? Great! Reviews for Chocolate is now open for business! So funny! I love this post. Isn't the cardinal rule to NEVER, NEVER, NEVER pay for a review? How many authors do you think will fall for this scam? It's horrifying thinking of it. I'd rather send you chocolate for your non-review than pay for one!!! BTW, love your blog title. I always say we are born into the time that is right for us, and God knew I needed microwaves, McDonald's, and tampons to survive. lol. Ahhhh, Shea. You get five stars for sure! Muah! Muah, dahling! Dani, I'll take milk, dark and white. How'd you know I liked three ways? Sheesh! Blogger won't let you edit a comment. They make you delete the whole darned thing. That's what I get for typing after a nap. Cindy, thanks for the kudos on the blog title. I was thinking of dumping Blogger, but I think I'll keep this blog around a while longer. So, what are your thoughts on Godiva? Five star quality? Yes! For certain American chocolates like Godiva and Sees, I'll make an exception. Oh, Sees ... How I miss thee! Chelseas, Mayfairs, Divinities enrobed in milk chocolatey goodness.